Worried that your internship recruiter will grill you with difficult questions that you might not know how to answer? Don’t worry – we’ve got you. 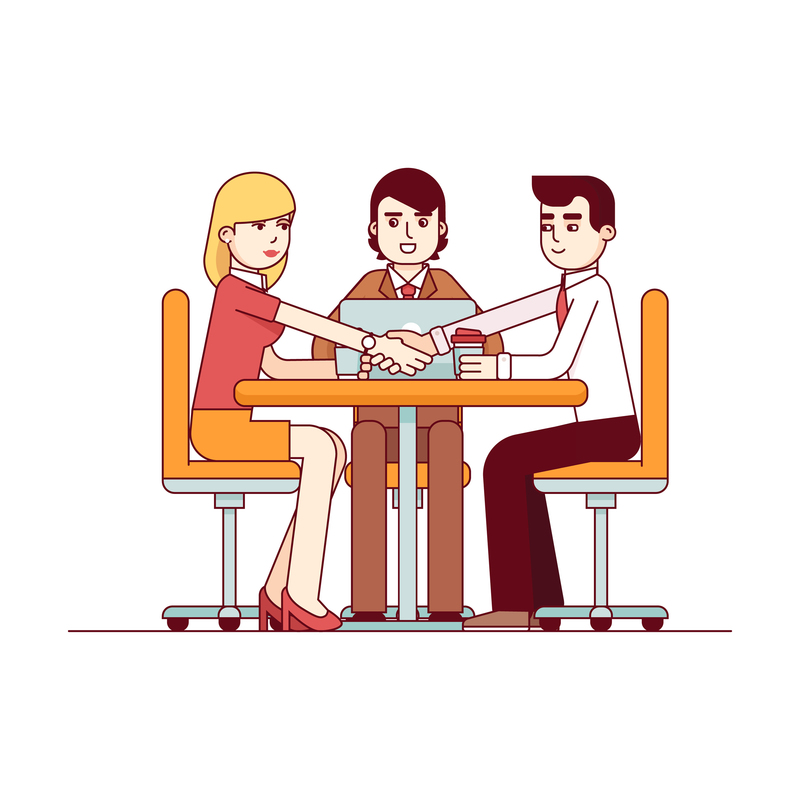 Quite often, an internship interview is one of the first formal interviews a student or graduate will go through as they start building the foundation of their career journey. Needless to say, it can be quite daunting given how this is something new for many students. Doing the proper prep work will help you get over those nerves, and it will also help you with expressing yourself during the interview session. One good way to start your preparation is to list down the common internship interview questions recruiters ask their candidates, and how to respond by highlighting your strengths. To help you with your interview prep, we’ve prepared a list of common internship interview questions and how you can answer them in a way that will impress your internship recruiter. Job and internship interviews typically start with this question to get you warmed up. But avoid getting too relaxed and regurgitating information that your interviewer already knows about, such as your name and age. Aside from the first point, your answer should emphasise your strengths in relation to the internship role on offer. For instance, you are a Business student but interested in the programmer intern position. You can talk about how you intend to pursue a career in the same line of work in the future, and how this position will help give you the relevant work experience. You could also talk about the activities you spend your spare time on, such as hackathons and app development courses online, where you’ve honed and developed technical skills that will be essential for the internship. Go the extra mile by talking about how your Business studies degree has made you more commercially aware of the industry, and how you can contribute business strategies and ideas to the IT company you are applying for. 2. Why did you apply for an internship with this company? This question is usually asked to test your knowledge about the employer. Your response should demonstrate that you have done sufficient research about the company, and this goes beyond a quick skim over the ‘about us’ section on the employer’s website. You should read up about the company’s history, values and press release to get an in-depth understanding of the company. You can also follow the employer on its social media accounts to get the latest news. With enough research under your belt, you should be able to connect the dots by aligning your work goals and style as well as your personality to what the company stands for, or how you can relate to its business. Think about the areas they specialise in, for instance, and how those relate to your career aims and interests. What are their vision and mission, and how do they relate to your own values? For example, the company you are applying to has a strong corporate social responsibility branding and is a strong advocate for animal rights. You can win your interviewers over by giving an example of how you have also participated in relevant activities, such as volunteering at an animal shelter. Your research will show your enthusiasm and reassure your interviewer that you are truly interested in the company, which will win you generous brownie points. This question is a tricky one. You have a chance to sell yourself, but also risk revealing traits about yourself that may jeopardise your chances of getting the internship position. However, the purpose of this question is for your interviewer to learn more about your abilities and your motivation to improve on your weaker qualities – rather than judging your weaknesses. When talking about your strengths, it’s fairly straightforward – think about the skills and traits you possess that are relevant to the company and the intern role. Self-motivation is usually a good selling point to highlight as employers generally like internship candidates who are proactive and keen to learn. Use examples from school projects, activities or student clubs to back up your strengths as well. However, when it comes to talking about your weaknesses, students and graduates alike tend to make the mistake of nervously stating a negative trait about themselves, and leaving it at that. First of all, you need to remain composed and confident. Stating your weakness is only a bad thing only if you are doing nothing about it. Second, there is a strategy to answering this question – talk about your weakness and then follow your statement describing what you are doing to improve yourself. For instance, you can talk about how you do not have the best memory, and tend to forget things when there’s an information overload. But you must also talk about the steps you take to overcome this, such as always noting down the tasks you are assigned to do, so that you will not forget them. 4. Tell us about a time when you had to deal with a difficult situation. This is a competency question to evaluate your behaviour and strength. The question is also meant to understand how you would respond to difficult situations. By asking such questions, your interviewers may be able to predict how you would handle a workplace conflict or issue, from managing deadlines to interacting with difficult clients or co-workers. Situation: provide the context by describing the situation to your interviewer. Task: what were your goals? Action: explain what your specific actions were. Result: describe the end result – even if the overall project did not end on a good note, make sure that it reflects you in a good light. I was President of the Music Society on campus, and was in charge for the Battle of the Bands event in January this year. We experienced a major hiccup during the day of the event. One of the judges that were supposed to be on the judging panel informed us that he couldn’t make it at the last minute. We had only two hours to inform the contestants of the changes, update the emcee’s script for event and edit the Powerpoint slides that were supposed to show pictures of the judges against the backdrop of the stage. I delegated the last minute tasks according to my team members’ roles. Within the first hour, I told the emcee liaison to make sure that the emcee is informed of the changes. I assigned the PA system team to make sure that the picture of the absent judge is removed from the slideshow. Since we were a lean team, I personally took on the task to gather all the performers on stage to inform them of the last minute change. An hour before the show, I did a final check on the Powerpoint slides and emcee script to make sure they were all updated. The team was nervous about the unexpected problem at first, but because the last minute tasks were delegated well, and everyone did their part, the event went smoothly. Our audience were very happy with the event that we made happen, and the contestants are excited to participate again next year. Tip: Avoid ‘blaming’ someone else for a problem or challenge you face. The focus of your answer should be on your actions and results. The human resources department is largely responsible for recruiting and training candidates to meet the company’s talent demand. It’s not all about networking and fancy dinners with clients! A career as a successful private banker requires a constant commitment to building meaningful client relationships.